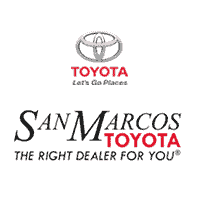 Why Buy From San Marcos Toyota? To be an award-winning dealership, customer care must be a top priority, and here at San Marcos Toyota, it is. Our family-owned and -operated Toyota dealership in San Marcos, TX, has served Hill Country drivers for 18 years and has delivered the transparency, excellence and efficiency needed for an unmatched dealership experience. We’re proud to be voted the Best New Car Dealership in Hays County by Hays County Record, and we’re thrilled to be named a Best of Hays 2017 winner in the New Cars and Trucks category. We know we’re The Right Dealer for You because we take the time to put you first. The Central Texas and San Marcos communities have allowed our San Marcos Toyota dealership to flourish, which is why we constantly look to give back and show our appreciation. We loved supporting the Family Eldercare Summer Fan Drive, as it made a profound difference in the lives of over 9,000 people in 2017. Our team also sponsors Sights & Sounds of Christmas to help spread holiday cheer through ice skating, live performances and Santa appearances. We even help play a role in the Boys and Girls Club of Central Texas to ensure we’re giving back to our youth. Our community efforts can be seen all across the Hill Country, and our consistent contributions have led the local high school stadium to be named after us. That’s why with our loving community by our side, we can never go wrong! Need More Reasons to Buy from San Marcos Toyota? Available on every new Toyota. We’re the only Toyota dealer in the area that offers this. Don’t shop elsewhere when you can buy with peace of mind from San Marcos Toyota! Every new Toyota on our lot comes backed by a complimentary lifetime powertrain warranty to ensure your Toyota runs at its best for miles and years to come. We’re the only Toyota dealer in the area that offers this type of warranty! Our complimentary lifetime powertrain warranty covers engine, axle assembly, manual transmission and automatic transmission components. Plus, you’ll receive two years of no-cost maintenance and free roadside assistance. San Marcos Toyota is proud to now have an Express Store, so buying or leasing a Toyota is more transparent and easier than ever before. You can browse our new Toyota models for sale, view pricing, schedule delivery and more all from the convenience of your home. Our San Marcos Toyota dealership is a member of the New Braunfels Chamber of Commerce, the San Marcos Chamber of Commerce and the Kyle Chamber of Commerce, proving our dedication to improving the business community in Central Texas. Our Toyota Express Maintenance is the fastest express maintenance center in the Gulf Region, so you can get the oil change, tire rotation or brake inspection you need quickly. We’re one of the only Toyota dealerships in our area to be named a Toyota-Certified Collision Center. This means we can perform an outstanding paintless dent repair or windshield replacement on your Toyota. San Marcos Toyota is a Toyota Rent-a-Car center. Now you can rent a Toyota at our San Marcos Toyota dealership and go on a new adventure! Our local Toyota dealership helps you save with new Toyota specials. Ask us about our $750 Toyota College Graduate Discount and our $500 Toyota Military Rebate, or about our Toyota lease and loan options. When you schedule Toyota service at San Marcos Toyota, you can relax in our comfy customer lounge, which features complimentary coffee, Wi-Fi, TVs and a children’s play area. To experience these benefits and more, get directions to San Marcos Toyota. We’ll show you why we’re The Right Dealer for You!